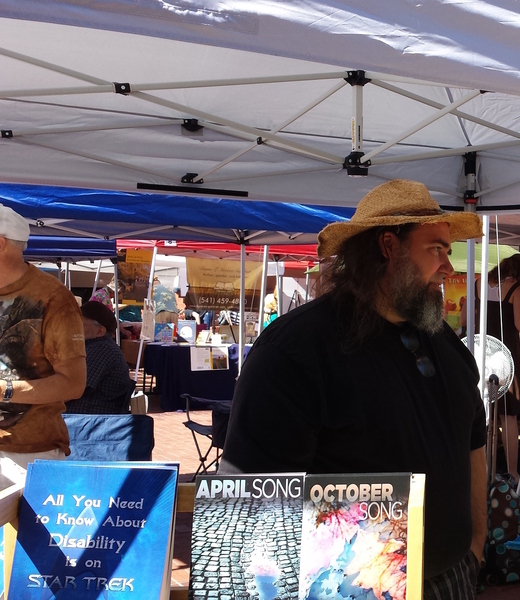 For the third consecutive year 9 Bridges will have a booth at the NW Festival of Books in Portland, Oregon. It takes place in Pioneer Courthouse Square which lies in the very heart of Portland so there is a mix of people who come specifically for the festival and people who are passing through. This festival is a one day event on July 25th and it runs from 11:00 am to 5:00 pm. As in the past two years our booth will be a combination of Informational picketing to raise the awareness of 9 Bridges and an opportunity for published writers from the group to sell and or advertise their books to the general public. Due to high demand only active members of 9 Bridges are eligible. There will be eight three hour time slots available for attending authors- Four from 11:00 am to 2:00 pm and Four from 2:00 pm to 5:00 Pm. Time slots to be awarded upon payment on a first come first served basis. Because of the dual nature of the booth we are asking that all attending authors be willing to not only sell their books but to answer any questions pertaining to the 9 Bridges as a whole. Talking points will be made available. The NW Festival of Books will be advertising for this event. This is an opportunity to get your name out there. According to the organizers, they will be distributing newspapers for the book festival, which include author names, their book genre or organization information, and their tent number. There was also a map to the booths. Last year the paper was available in Portland and surrounding communities prior to the festival and was very successful in bringing people from around the northwest. They also feature all participating authors on their web site. If you are interested I participating in the 9 Bridges booth this year please email me. Clarifying questions and comments welcomed. 9 Bridges is dedicated to supporting writers in all stages of their journey in the pursuit of their craft. In addition to providing peer review and support in the form of critique groups, 9 Bridges offers writers access to a wide community through workshops, events, online forums and the promotion of events that are of interest and benefit to our members. 9 Bridges is dedicated to flexibility - through community connections we can quickly adapt to fill a writer’s needs, whether they are just starting out or have published a dozen best sellers. As one of the largest dues-free organizations in the Western United States, we operate on the generosity of people like you who want to invest in their writing community. Your donation helps us continue to offer free and low-cost events to writers from all walks of life. We are a 501(c)3 tax-exempt non-profit charitable organization.